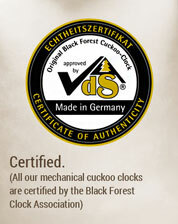 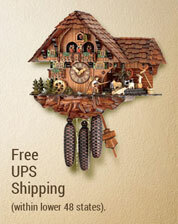 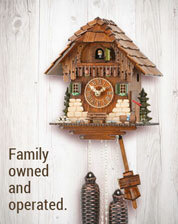 Beautiful 1 day cuckoo clock with hand painted flowers and moving birds. 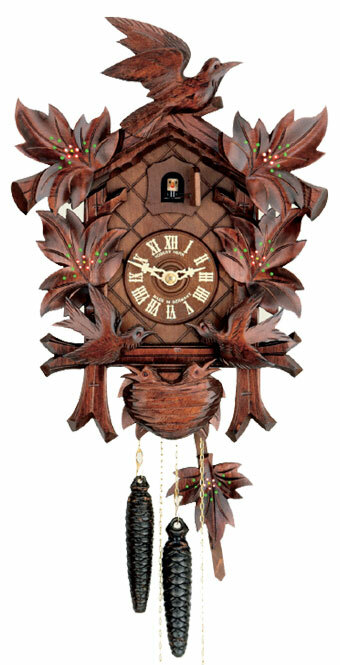 The 2 birds on the side move their beaks up and down as if they would feed the birds in the nest. 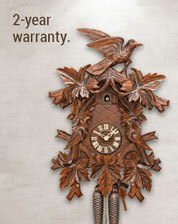 The clock is nicely finished in a cherry tone and features a wooden dial as well. 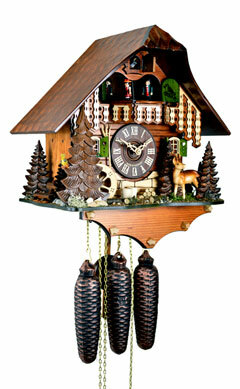 The night shut off switch helps light sleepers by silencing the clock at night.